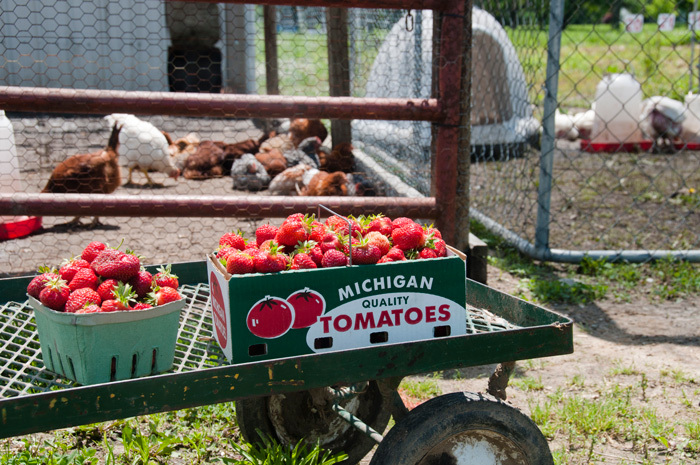 Word is out that this year there is a bumper crop of strawberries here in Michigan, and there's nothing quite like a freshly-picked organic strawberry to make those gargantuan atrocities grown in California greenhouses and trucked across the heartland taste as disappointing as they truly are. 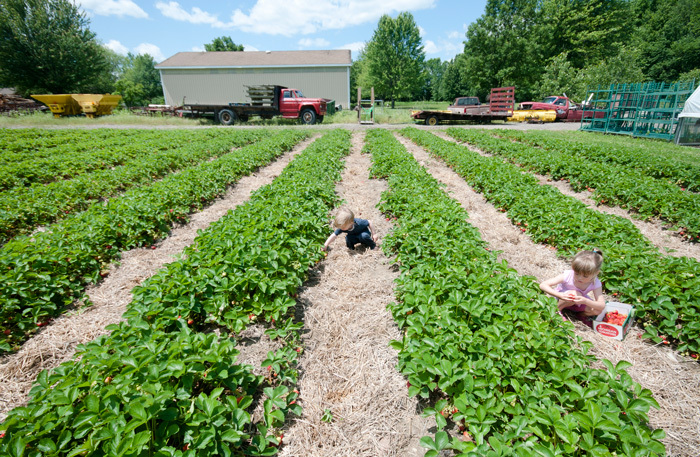 The kids and I hit the highway the other day to spend the morning picking strawberries out in the countryside west of town. The boy did his job and ate everything he picked (and only a little of what we picked), while the girl (who has proven pretty useless on u-pick outings in the past) filled up her 4-quart basket rather quickly. She's on a bit of a ethical kick lately and insisted it was wrong to eat strawberries without paying for them. I insisted that was the best part of laboring in the hot sun and paying for the privilege of doing what Mexican migrant workers do every day just to feed their families. 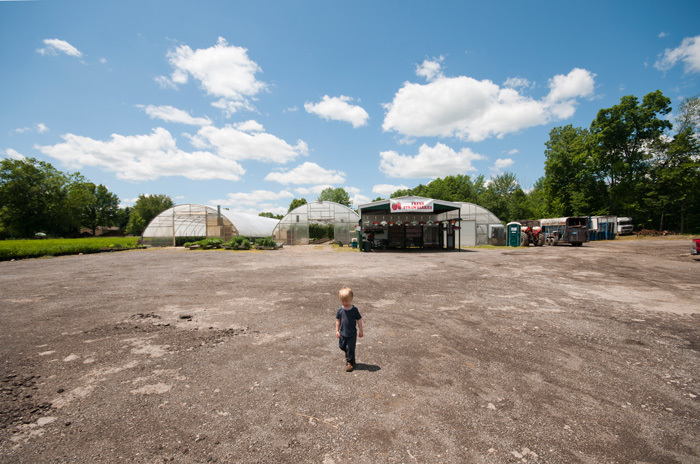 Like every wise agritourism business, the farm charged more for the strawberries we picked than we would have paid for them at the market. But they had a bunch of miniature horses, goats, and chickens to make it worth our while. 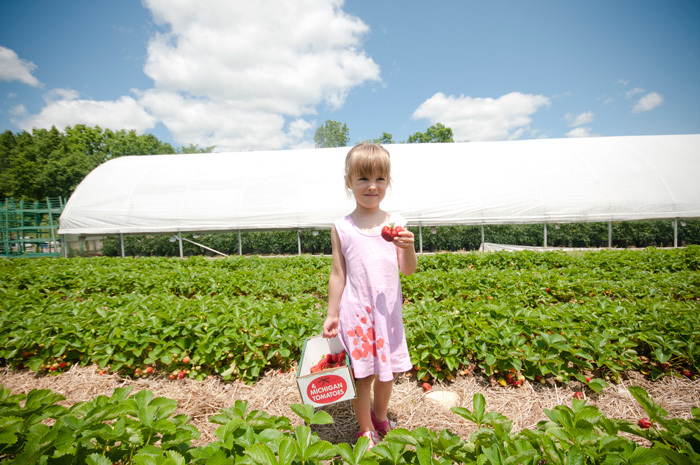 This was her favorite strawberry that she picked, shaped like a perfect heart. Here are the five quarts of strawberries we picked that morning. 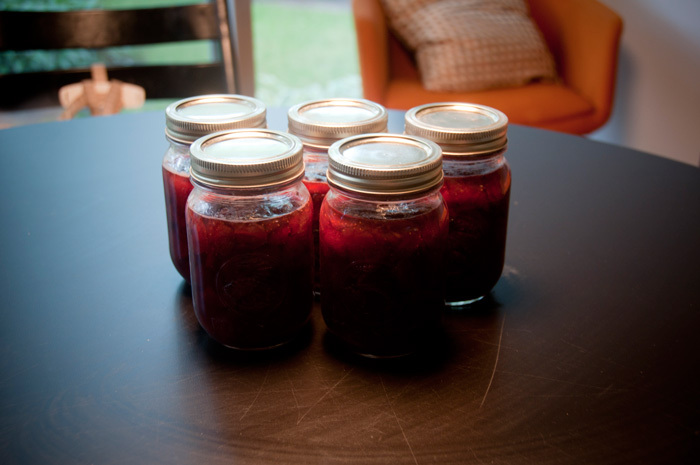 And here are the five jars of strawberry jam we made when we got home. It was our first effort canning, and we enjoyed it so much that we're planning to make jam from every kind of berry that ripens this summer so that we can enjoy the fruit we pick on our pancakes next winter. (We didn't use all five quarts for the jam; we're saving some to make a second batch of jam with some rhubarb we'll pick up at the market this weekend). 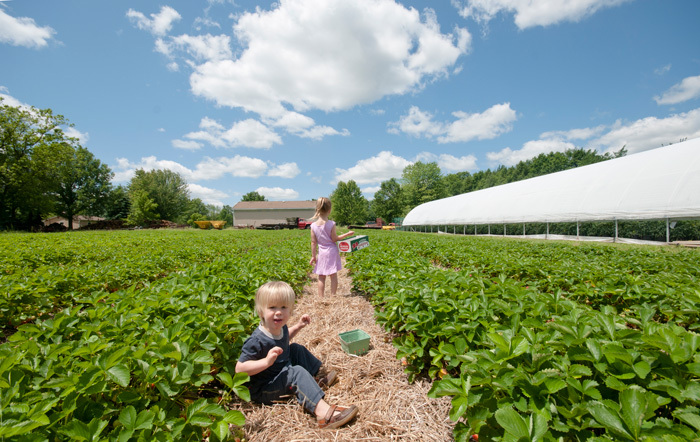 I'm already investigating u-pick blackberry, raspberry, blueberry and other fruit farms for other day trips this summer. I've been documenting some of our daily adventures here for a few months now, and the good folks behind the new Dodge Caravan recently contacted us about sponsoring some of posts by buying the ads you see around them (full disclosure: they did not provide any vehicles or compensate us for any costs involved). Check out the links to learn more about the new Dodge Caravan with its spacious interior (room for more berries!) and enough multimedia options to keep the kids from whining on trips to the country no matter how long or short (something I definitely feel like I could use sometimes).